* DO NOT USE FOR TRUST ACCOUNT DEPOSITS. Don't Face Ciminal Charges ALone! If you"re accused of being involved in a crime, the best thing you can do is hire a good criminal defense lawyer who has a good knowledge of the criminal justice system & can evaluate your case to tell you what to expect. Have the Police Pulled You Over? Attorney Marc J. Victor, has been representing people accused of DUI crimes for over 20 years. He often attends both state and national DUI related seminars to stay current on the latest issues surrounding DUI cases. We have a combined legal experience of over 50 years protecting the public against individuals or companies that violate the law. 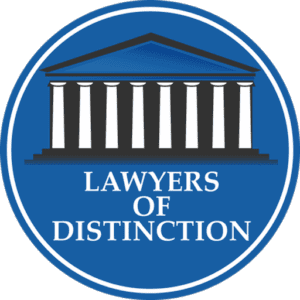 Our lawyers have consistently been recognized and rated the top attorneys in Arizona. Being charged with a criminal offense is serious. You need a State Bar Certified Criminal Law Specialist who is highly experienced, and not afraid to fight for you in court. Don’t gamble with your freedom! Are you looking for the best criminal defense attorney? Check out our online reviews, see what others are saying and decide for yourself! We will be holding a press conference on this case Monday, February 11th, at 12 pm at our law firm located at 3185 South Price Road, Chandler Arizona 85248. Body camera video shows officers shoot Sergio Ochoa 21 times. A federal lawsuit has been filed by the Attorneys For Freedom Law Firm against Mesa and Gilbert police, alleging negligence and civil rights violations in the 2016 shooting death. Attorney Marc J. Victor arrested and incarcerated. The true story of his personal fight for freedom. This is a subject that until recently I have never discussed in public, but now, I want the world to know what happened. As a practicing criminal defense attorney for almost 25 years, I thought I knew everything there was to know about the criminal justice system. I was wrong. I now understand what it’s like to be arrested and incarcerated while presumed innocent…because it happened to me. Attorney Marc J. Victor presented this speech at the Arizona Freedom Summit on February 3rd, 2018. There is a short 5-minute introduction segment before Marc begins speaking. Marc’s story begins at 5:00 in the video.